Sadio Mane revealed signing a new contract with Liverpool was always his top priority. Liverpool star Sadio Mane has revealed that he was never interested in joining Real Madrid amid rumors suggesting he could choose to switch to the Spanish capital. The winger added that speculation in football is a part of the sport, and that everyone must learn to deal with it. 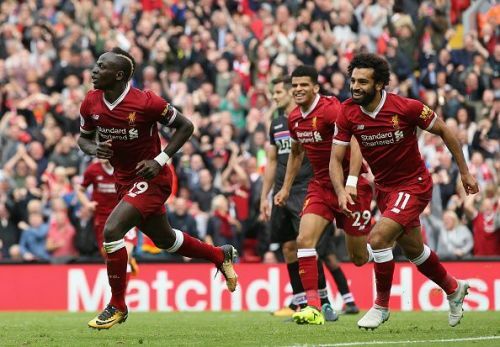 Sadio Mane joined Liverpool from Southampton in the summer transfer window of 2016 and has scored 32 goals in 77 Premier League games thus far for the Reds. He won the Liverpool Player of the Season 2016-17 and was the team's joint top goalscorer in the Champions League last season with 10 goals. The Senegal international was linked with a move to Real Madrid a few months back but he ended months of speculation over his future by penning a new contract in November, that will keep him at Anfield until 2023. Sadio Mane revealed that he was never interested in joining Real Madrid and signing the new contract with the Reds was always his priority. “Speculation is part of football, You just learn to live with it and not to take it too seriously. All I can say is that my only concern is Liverpool. Mo, Bobby... it seemed like everyone was signing contracts and they were saying: 'Hey Sadio, when are you going to sign?'. I said to each of them: 'Don't worry bro, I will sign'. And what did I do? I signed... so they are pleased now! Liverpool are currently on top of the Premier League table and will host Leicester City at Anfield on January 31.